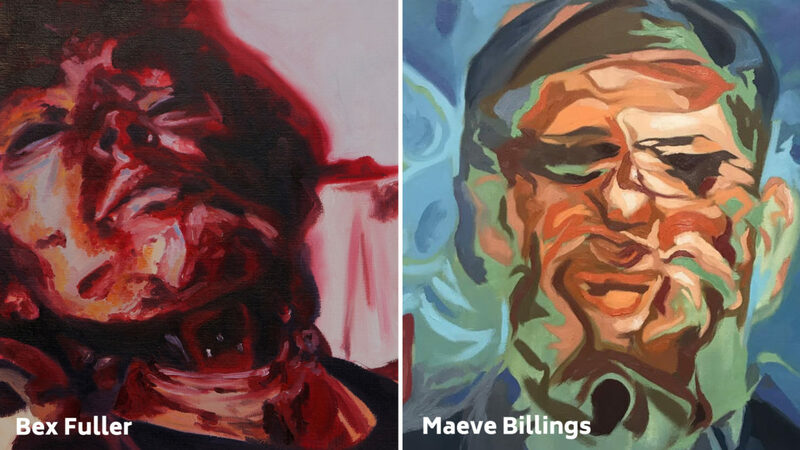 Using abstracted images of interior and exterior spaces, Maeve Billings’ and Bex Fuller’s paintings illustrate fears both personal and shared. Bex’s paintings revolve around humans; the internal, external, and psychological spaces of contemplation. Organs, deceased bodies and atmospheric landscapes represent internal fears surrounding the fragility and mortality of human’s physical and metaphysical selves. Maeve’s series is a reaction to living in a constant state of anxiety caused by a country in political and social turmoil. The abstraction of the images is an expression of this collective fear and a personal attempt to counteract it. Their combined work is a manifestation of these fears, emerging from the internal and external, the personal and the collective. Arrange another time to visit the gallery by emailing info@waterlooarts.org.